Infinity Spot L brings Coemar spot fixtures to a new level with a 1000W lamp. 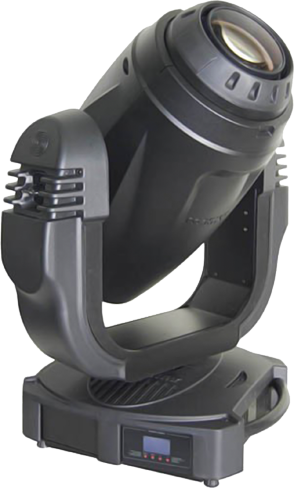 Designed for the larger stage applications, but in a compact and easy-to- serve body, the Spot L features HD quality projection, dimming and CMY, a new superfast zoom mode (1:5 in 0.4s), superior morphing effects, and a new digital ballast technology (with PFC) inclusive of a full diagnostic program. The effects engine is fully equipped with 2 gobo wheels, rotating prisms, a tight and dynamic iris, proportional frost, and CCT control. Internal display battery and Artnet also available (optional).